Business owners have enough on their minds without the added burden of worrying about their insurance needs. Annaville Insurance provides a full range of products and services to meet all of your business insurance requirements. We strive to protect what is important to you and your company by providing comprehensive coverage through our vast network of companies at the lowest possible price. 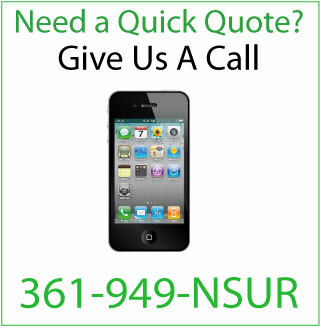 **Annaville Insurance is a full service insurance agency. If you are looking for commercial business coverage that is not on this list or are unsure as to the type of insurance your company requires, please contact our agency and wewill be able to find an insurance carrier to suit your business needs. Commercial Auto Insurance policies provide insurance coverage for any motor vehicle used in your line of business. These can be personal vehicles used by you or your company to visit jobsites or more specialized vehicles used for your specific line of business. Delivery Vans, Refrigerated Trucks, Limousines, Dump Trucks, Utility Trailers, Step Vans, Tank Trucks, Hearses, Flatbed Trucks, Min / Cargo Vans, Catering Trucks and Stake Trucks are all acceptable classes for Commercial Insurance Coverage. Commercial Flood Insurance is simply a flood insurance policy that covers your business or interest in the event or rising or tidal surge waters. Commercial Flood is a separate insurance policy and will not be included with Windstorm / Hurricane or Commercial Package polices and must always be covered separately. Business Owners Package polices, often called BOP policies, are package insurance policy for small to medium size businesses that contain multiple policy coverages under one policy. This can be extremely helpful and also save you money as your business property coverage and General Liability insurance can be packaged together under one policy. These policies can also be tailored to meet the specific needs of your business. Directors and Officers Liability Insurance is protection for the directors and officers of a company in the event they are sued in conjunction with the performance of their duties related to the company. This is basically a "management Errors and Omissions policy". Errors and Omissions (E&O) also called Professional Liability, is insurance to protect you and your company in the event a client alleges they have suffered a financial loss as a result of an error or an omission during the course of business regarding your professional services. Professional liability coverage is separate from a General Liability (GL) policy which COVERS bodily injury or property damage. Hotel / Motel insurance policies provide protection coverage for the owners and managers of hotels. Hotel / Motel insurance provides coverage for resorts, spas, ranches and more. Companies may be unaware that their current business insurance policies do not cover all of their technology related risks. Our technology insurance programs provide coverage tailored to fit your company's unique technology needs. In today's technology-driven world, companies face many dynamic exposures. Faulty software, inappropriate advice, misconfigured firewalls or inadequate anti-virus software, hardware failure can put you and your company at risk. Technology related claims are increasing faster than almost any other market segment and can leave companies liable for expensive lawsuits. Workers' compensation insurance protects employers from claims resulting from injuries to employees. It protects your business from lawsuits and provides employees with compensation for on-the-job injuries. By law, most employers are required to provide coverage for lost wages and medical bills incurred as a result of on-the-job accidents or illnesses. We work with some of the top Workers' Compensation Insurers, including FirstComp and Texas Mutual, to help keep this cost to your company as low as possible.